We represent individuals who face serious criminal charges near Omaha, and while we have a long history of representing Nebraskans, we have also effectively represented military personnel charged with crimes and defended out-of-state drivers stopped for drugs on I-80. 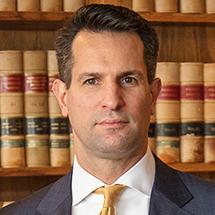 Attorney John Stevens Berry, Sr. has represented clients in criminal cases in 24 states and two foreign countries. We represent people in trouble. Our criminal defense practice covers the spectrum from financial crimes and drunk driving to murder. The attorneys at the Berry Law Firm uphold a client’s rights at every stage, attacking the prosecution’s case. If you or a loved one has been charged with a state or federal crime in Omaha, we provide the experienced and aggressive representation you need.